Computer Earth and its systems have been around for thousands of year. Nature periodically upgrades its systems. In year 2012, we have Computer Earth system 370 with OS/JCL SNA VTAM LAND and the Base 16 hexadecimal geography computer address of 1600 Pennsylvania Avenue, Washington, DC. Thus your bio-computer brain has a brief outline of modern existence. Have your upgraded your brain computer with the necessary year 2000 biological clock Y2K subroutines? Let's look an aspects of COMPUTER EARTH systems evolution; specifically, the time period around year 1490 thru 1524. 1) In year 1492, we had Christopher Columbus who was sponsored by by King Ferdinand and Queen Isabella of Spain. 3) Ferdinand Magellan was a primary agent of Earth government and Nature systems ....... LINKED to Nature's human subset governments of Spain and Portugal. Let's review the world explorer. Ferdinand Magellan (Portuguese: Spanish: c. 1480 – 27 April 1521) was a Portuguese explorer. He was born in a still disputed location in northern Portugal, and served King Charles I of Spain in search of a westward route to the "Spice Islands" (modern Maluku Islands in Indonesia). As a humanoid living on PLANET EARTH. one can think of the explorer as expression of EARTH and the North Pole. How could this be? Analysis of the atomic English language of the ferrous oxide IRON atomic dictionary provides the CLUES. 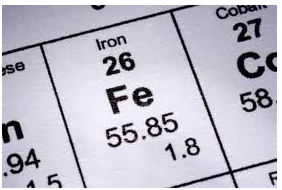 The 26 protons of ferrous oxide has 26 atomic alphabet letters...such as used by the atomic English alphabet. 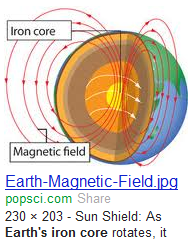 The Earth iron core contains such as alphabet which LINKS to the North Pole magnetic DATA FIELD which interacts with the human iron red blood cells. Thus we see the Earth iron geological communications system. 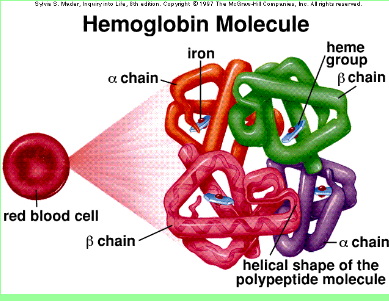 Thus we see the EARTH iron communications LINK to the iron inside Ferdinand Magellan. Thus we see how Nature constructed the Earth AGENT --> Ferdinand Magellan. Thus we see the Earth iron core government and its magnetic field ... with Nature's intellect ..... helps design humanoids and their bio-computer symbolic thoughts. Thus we see a partnership between Nature and man ...with man acting as a representative, a human implement for many of Nature's computer science projects and missions. .......Fer...................Mag .................... thus the atomic language proper noun identifier ..
. The final discovery of the extent of the Pacific derives from a bold geographical theory, held by the navigator Ferdinand Magellan, as to where precisely the Moluccas might be. Ferdinand Magellan learns the craft of navigator, between 1505 and 1512, voyaging to and around the East Indies in the service of his native Portugal. In 1516 his request for promotion is refused by the Portuguese king, who informs him that he may offer his services elsewhere. Mag sails in September 1519 from Seville. In mid-December he reaches Rio de Janeiro. Let's look at Magellan's COMPUTER EARTH system journey...... and the magnetic field computer tape (flow lines). RESUME I/O, RIO --> at RIO de Janeiro. Thus ......the early channels in COMPUTER EARTH evolution with BAL explorer BALBOA and Magellan ....... channels that are now available on copper-wire computer models (harfware /software) that simulate the EARTH model. Table 8 lists the I/O instructions in each architecture. For complete information on these and other assembler language instructions, see z/VM: Enterprise Systems Architecture/Extended Configuration Principles of Operation. Another.....example of the Computer Earth system ...and the channel problems occurred in year 1939 thru 1945 ....the World War over Base 2. IN 1944 the Computer Earth battlefield was the DD = Data Definition of the (English communications) channel of Computer Earth ..... that was transformed to a physical, visible geography battlefield on D-Day with the English channel. Thus we see the deeper levels of REALITY underlying the surface veneer description of conflict EVENTS that are reported in history books. Other aspects of Computer Earth evolution are covered in other blog posts. Keep in mind that Fer--> ferrous Oxide Ferdinand Magellan (also, a magnetic field navigator LIFE Form ) was from the computer earth region ...... an I/O PORT ..known as the country of PORT --> Portugal. The Spanish country represents Span--> spanned data records and its bio-computer people. What is going on? Please explain Nature's processes! The failure to explain these facts of life about EARTH systems and OS/JCL resulted in an IS bio-computer tragedy for OSLO (Norwegian OS/JCL agents in the BAL region (Baltic) deny existence). Thus the IS experience for Norway and Europe ......... the IS --> ISLAND of Utoeya bio-computer science tragedy. The children are now in Base 16 Hexadecimal region of space/time ...known as Hex'AF" = 175 = AFterlife. Virginia TECH also denies the existence of Base 16 hexadecimal tragedy of April 16, 2007. Thus we see a complex situation ...... that lazy minded people ignore. Nothing is explained properly....... the newspapers print incomplete reports, etc. Thus the Hollywood mind set ... that requires some intellectual effort to think beyond. Thus you have some CLUES to a puzzle ...... and it needs more research and more precise details ... just the right thing for the amateur detective to work on. Sherlock Holmes and Hercule Poirot would expect no less from you. Agatha Christie's Poirot is a British television drama that has aired on ITV since 1989. It stars David Suchet as Agatha Christie's fictional detective Hercule Poirot.